Take this best valued 8-day China travel deal, with China's top 3 destinations - Beijing, Xian and Shanghai. 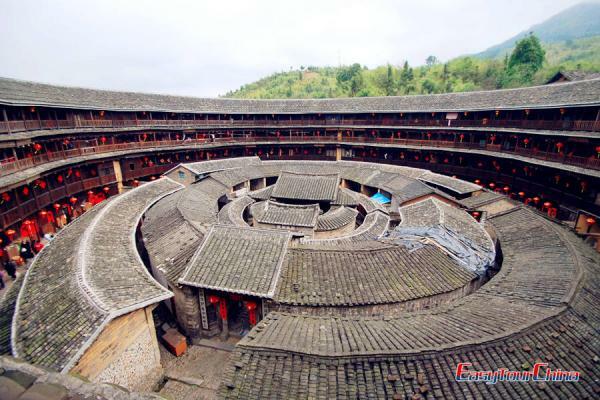 This trip would give you a fascinating glimpse of China's past and present. 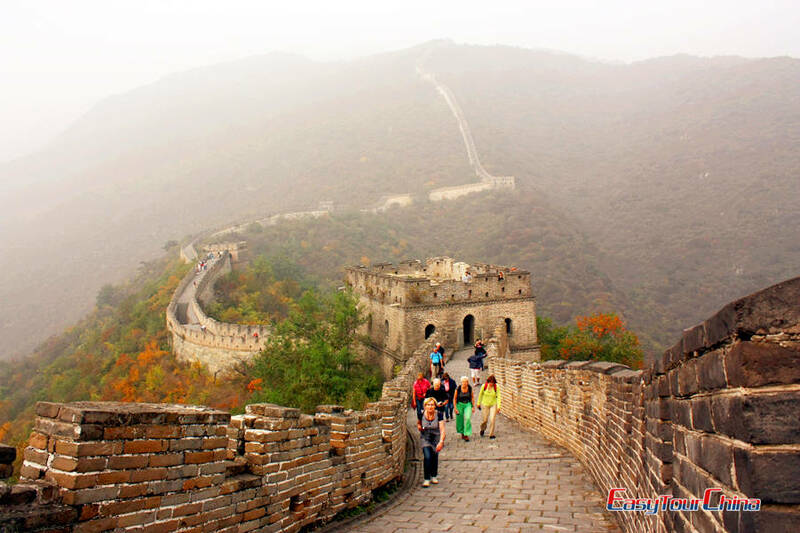 Today a bus join-in tour to Dingling and Mutianyu Great Wall. Dingling of Ming Tomb is the underground mausoleum of Emperor Wan Li. The Underground Palace Halls, a labyrinth palace building, were the first royal tomb excavated in accordance with plan in China. After lunch, go to visit Mutianyu Great Wall. As one of the best-preserved parts of the Great Wall, Mutianyu section of Great Wall used to serve as the northern barrier defending the capital and the imperial tombs. If you want to reach the highest point, a cable car is available (optional). 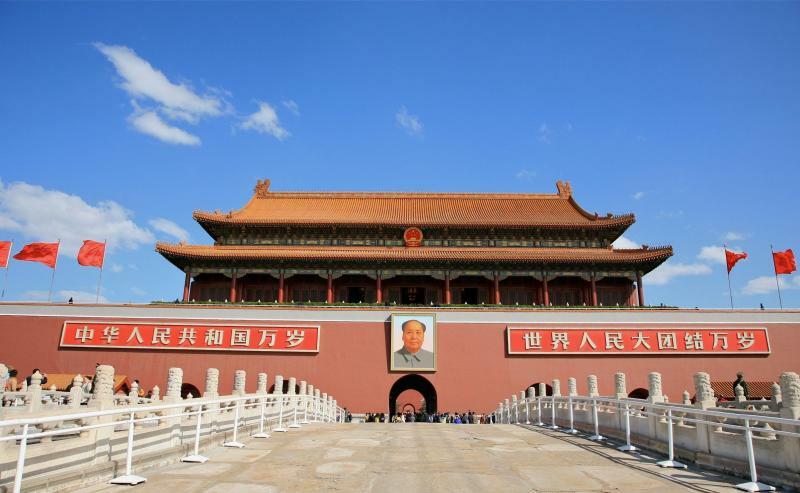 The bus join-in tour starts at Tian'anmen Square with its plentitude of monuments testifying to the communist, and more specifically, Mao's influence on China's modern history. From there you will proceed to the Forbidden City, the largest and best-preserved ancient imperial palaces group with 500 years history in the world. On the way to Temple of Heaven, you will have a chance to visit the Chinese traditional medicine culture. After having a short rest, we'll visit the Temple of Heaven -- the largest ancient imperial worship architecture group in the world where the ancient Emperors prayed for peace and harvest. After Chinese lunch (40 minutes), enjoy a short visit to a pearl market. Driving (30minutes) to Summer Palace, the largest and most beautiful Chinese imperial garden. Transfer back to your hotels. Take subway or taxi by yourself to the airport and a morning flight to Xian. Be met and transferred to your hotel. The rest time is free for your own exploration. 5 Day 5 Visit Terra Cotta Warriors and Horses Museum, Banpo Neolithic Village Museum, etc. A bus join-in tour to the Terra Cotta Warriors and Horses Museum, one of the most important archaeological finds in the 20th century; an army of terra-cotta warriors and the bronze chariots entombed in vast underground vaults at emperor Qin's tomb since 2200 year ago. And then go to the Banpo Neolithic Village Museum, the north square of the Big Wild Goose Pagoda. 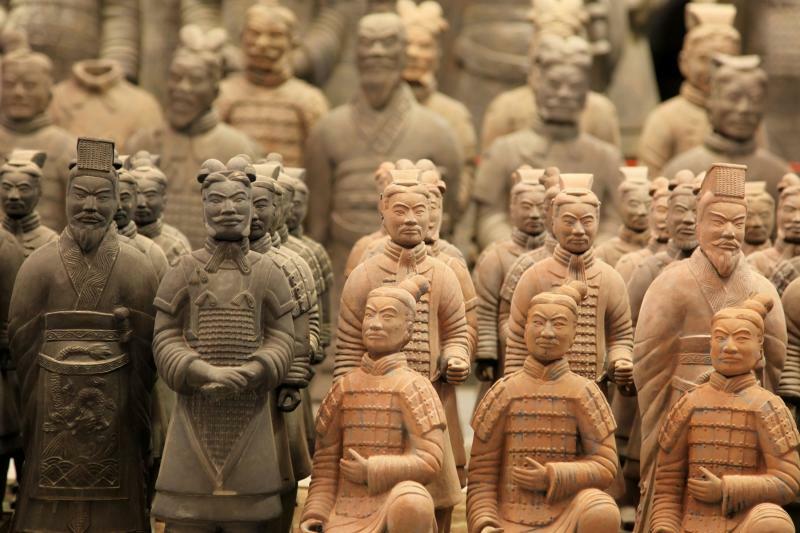 During the tour, you will visit Terracotta Army Replica Factory and a carpet factory. Your own arrangement to the airport and fly to Shanghai in the morning. Be met and transferred to take a half day tour in Shanghai: Yu Garden, features traditional architectural style of Yangtze Delta, it used to be a private garden with 400 years' history. 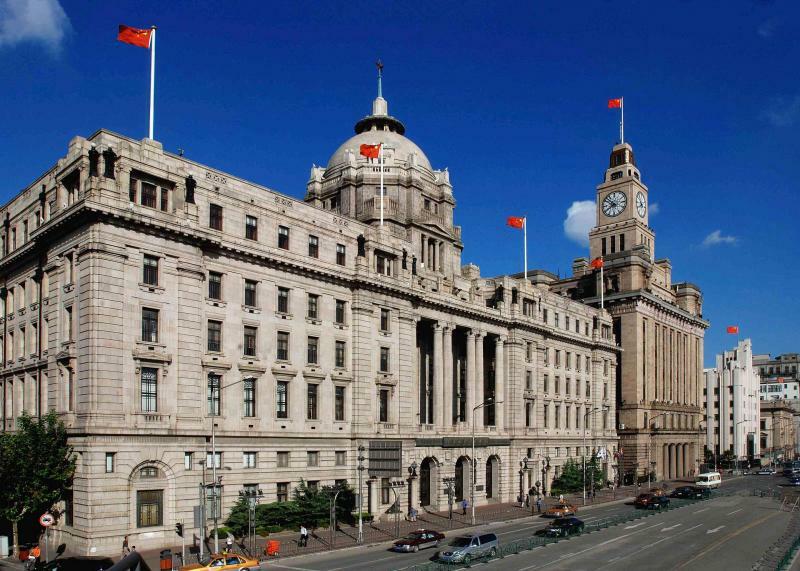 Then pay a visit to the most famous the Bund, to appreciate the modern and historical atmosphere there with the breeze blowing from Huangpu River. Later, enjoy 1 hour Huangpu River cruise. Check into your hotel. Free time for your own arrangement. 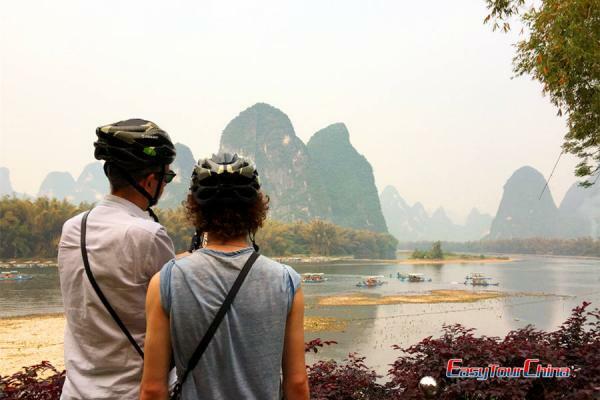 Easy Tour China will offer you helpful travel information to visit the dynamic metropolis in China. Your own arrangement by either taxi or Maglev train to Pudong airport for the flight to your next destination. Note: if the clients choose to take an overnight train at the soft sleeper class from Beijing to Xian, we can deduct about US$100pp from the total cost. 6. 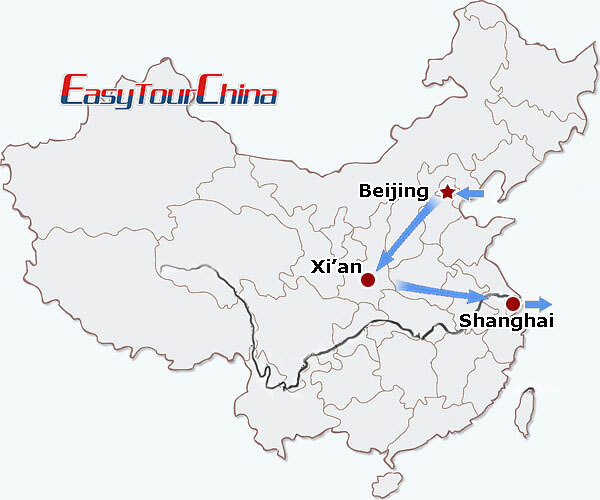 Domestic flights Beijing-Xian-Shanghai at economy class with tax included. 3. Tips to guide and driver.